A space like the garage means protection and securing of personal property, such as a car, and today such space are increasingly creative and elegant. More and more architects and designers are exploring the potential of this type of space, searching for an opportunity to create a more attractive area for its guests. 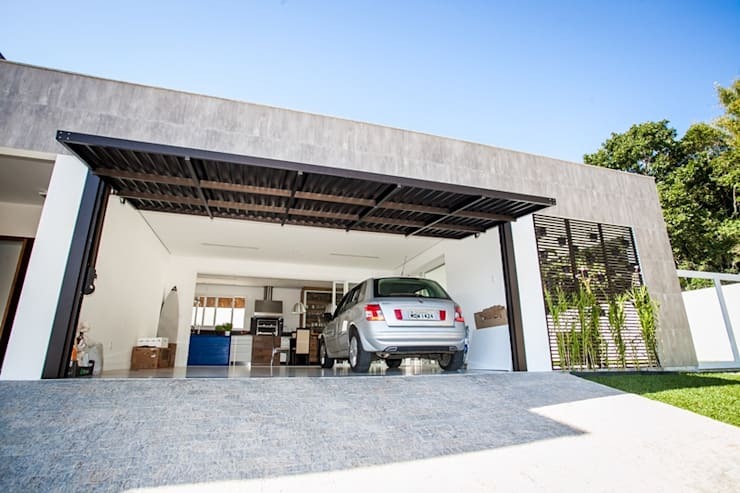 Even if you do not use the garage for the functions it was initially created, you can make good use of it through other activities, such as creating a living room, workshop or just storage space. The multifunctional garages we bring you as inspiration today become symbols of reinvention and capacity for creative intervention. A garage with many doors may be synonymous with an attractive house, so today we will present you with some excellent examples of contemporary garage doors, exploiting creativity to the maximum in order to inspire your own home’s appearance. The garage is designed to store cars of a home’s inhabitants. We think this example, showcased by Beth Nejm, is the ultimate in easy to use elegance, but then again, this isn’t exactly your average garage is it? In this inspirational picture, the space has finishes in noble marble, limestone and wood. The place can house up to eight vehicles, including a space for a professional car washer and an elevator. Firmly modern, the doors of the design were made with thin and fulfilled wooden boards, placed horizontally, in order to denote movement. Sophisticated, the end result certainly deserves that luxury cars that can inhabit the 220 square metre area space, with a ceiling height of 4.6 metres. The garage door brings a certain personality and originality to the house, and it is also an element that serves as protection. For this reason, it is important that you make friends with materials which can withstand all types of weather conditions. As an example, look at this imposing gate that we see in the picture. The structure of the gate has metal and wood elements and provide a robust image of its construction. Sometimes it only takes a simple and beautiful inspiration and following the old maxim “Less is more”. You won’t have to use a large number of different patterns and complicated metallurgy to get yourself a decent gate. 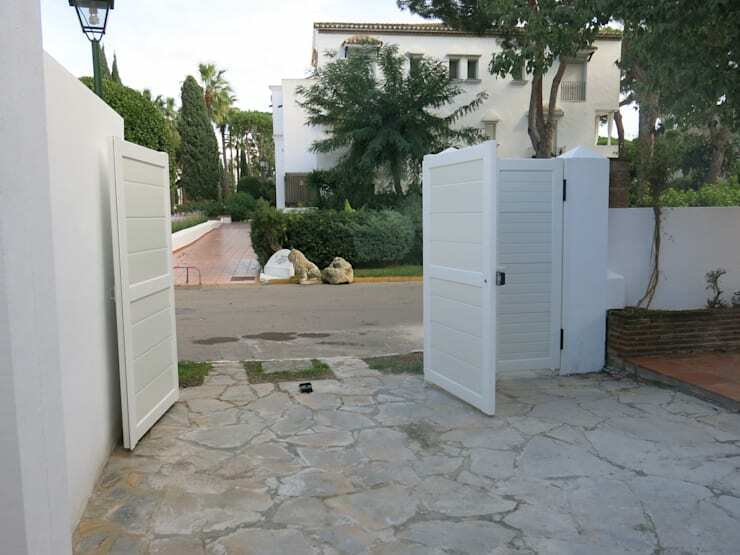 If you are looking to block the stairs of neighbours, a small gate with wide bars will be a good choice. Not only will it be effective, which is great news for smaller gardens and bungalows, but it will also allow light to penetrate, making it sunnier and a cheerful place. For a more classic garage door it is important to consider each of its constituents, including the number of sections that open directly onto the street or home. 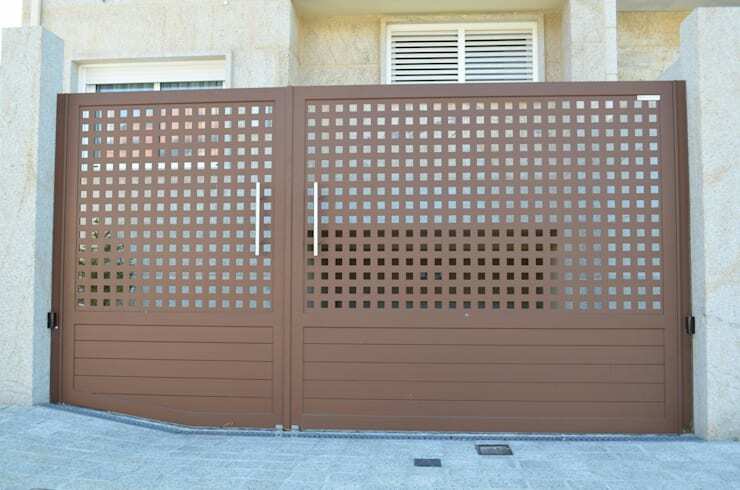 In addition, these gates are important to give a touch of originality and personality to the façade, and often defines your own type of style. 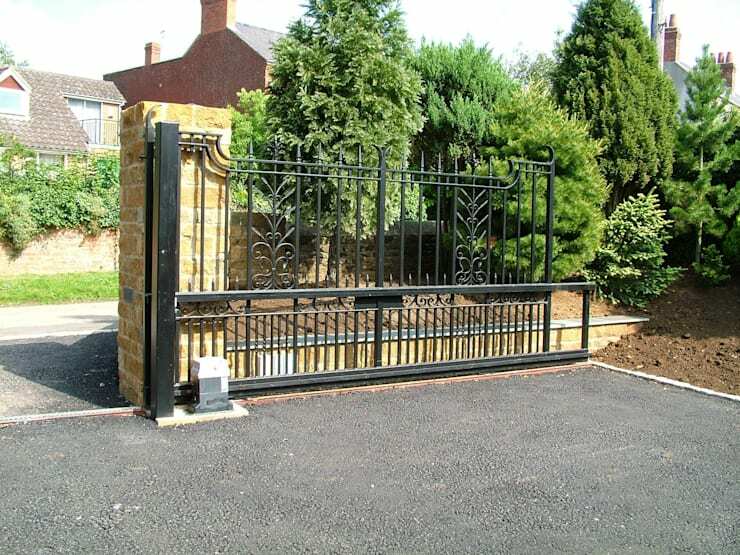 The gates are a great addition to any driveway, especially if the house is off the main road. Not only do they provide extra security, they also bring a sense of opulence and grandeur to the house. Doors that unfold as they are opened or closed are the main features that we see in the image. Installed in this house with several control options, the volume on top is balanced by the other doors present in the garage. Such a door provides an unmatched ease of access and convenience, whilst also being aesthetically pleasing. An open garage built with wood can be attached to or isolated from the house, and will let you park your car without any hassles. Normally suburban houses will have closed garages that host more than just cars. 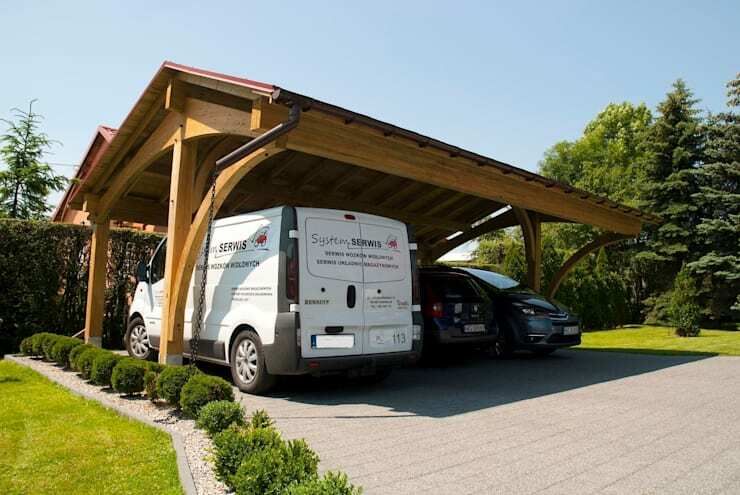 This structure will be useful for guests and tenants, ensuring the garage space is used for its intended function. Economic, practical, stylish and versatile! 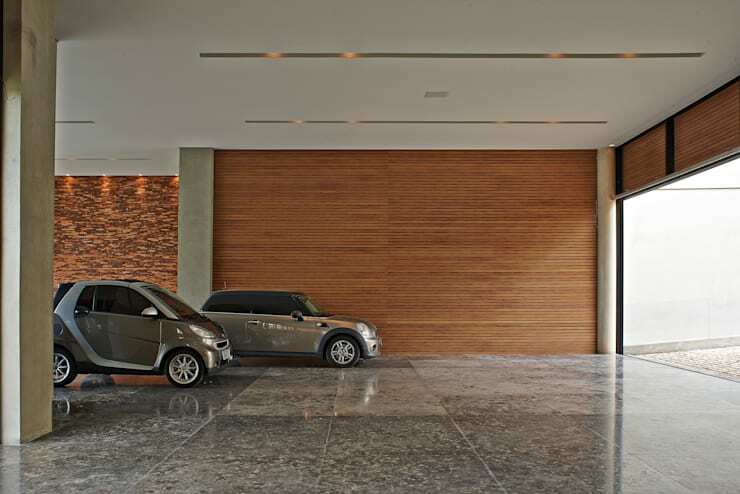 For a little more auto inspiration, check out these: Garage Designs For Modern Homes. Would any of these doors/gates suit your home? Tell us which one you liked most!